Giving birth has got be the most painful experience in the world for a woman especially if you have had a vaginal delivery. No doubt it is for a reason that's worth it and motherhood is such a divine feeling that words can't express, but one has to take good post-natal care of oneself. You cannot be selfless even though the focus is all on the baby, as your wellness determines wellness of the baby. The first 2-3 months after delivering are the key months to future recovery and getting back to a normal state of body and mind. Figaro Olive Oil is a mild and non- irritant olive oil that suits all skin types. It is rich in antioxidants and has got no chemicals added to it. I noticed a lovely glow to my skin on using this oil. Since I have dry skin, regular massage with this oil reduced the dryness of my skin to a large extent. As I am pear shaped, most of my pregnancy weight gain happened on my lower body. Also as I had been advised rest due to which I couldn't exercise much, I developed a decent amount of cellulite on my lower body. 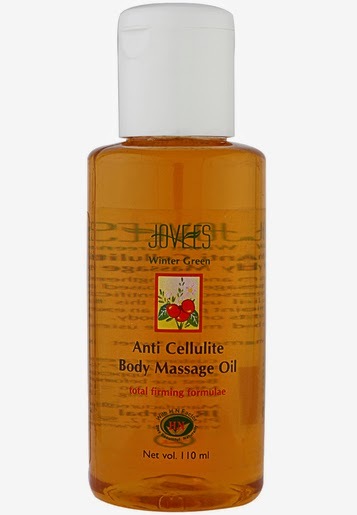 To get rid of the cellulite, I bought this oil which is based on an Ayurvedic recipe. I got the winter version as it was the monsoons when I delivered and the temperature in Mumbai was low. The oil is a mix of essential oils such as Olive Oil, Sesame Oil, Sweet Almond Oil, Wheat Germ Oil, Cord Liver Oil and Sunflower Oil and which help in strengthening nerve fibres. I saw results in a week of using this oil - there was a reduction of cellulite to a large extent along with visible toning of muscles and also reduction of excessive fats. A hot bath relaxes the body and muscles after a massage and also lets the pores open up so that the oils can work their way into the body to have a better effect. Very hot water is poured on the lower abdomen and the pelvic area to help in the reduction of the enlarged abdominal section, as it helps to hasten the contraction of the uterus and the pelvic passage. You can also mix some water boiled with Carom seeds(Ajwain) into your bath water to avoid catching a common cold as your body is weak initially and easily prone to catching cold and other infections. For my post natal bath routine I decided to stick to Ayurvedic products too. 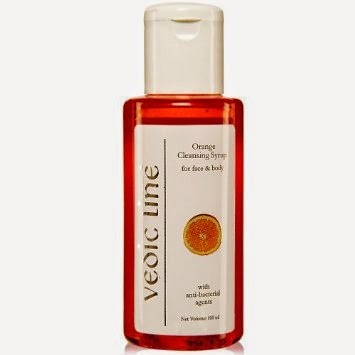 The best part about this body cleanser other than being Ayurvedic is that it's anti-bacterial. It is gentle on the skin but strong enough to wash the excess oils off my body post the massage. The main ingredient - Orange, acts as a natural bleaching agent and reduces skin pigmentation, blemishes and darkening of the skin. The cleanser removes all odour and leaves the skin feeling fresh. I love the citrus fragrance that lingers for a while post my bath. I follow a good diet leaving out all kinds of junk food and include dry fruits and milk. Lentils for protein and sago for better milk production are also key. Those are few great tips and quite common in India. Take care of yourself and baby. well, written! I am sure new mothers will benefit from the tips across the globe! Really nice post and good information in this post. Thank for sharing.